Cairngorm Gold Aviemore, Cairngorm, Scotland. Honey coloured sunlight dredged across a frosted stubble field surrounded by equally frozen birch trees on farmland near to Aviemore. 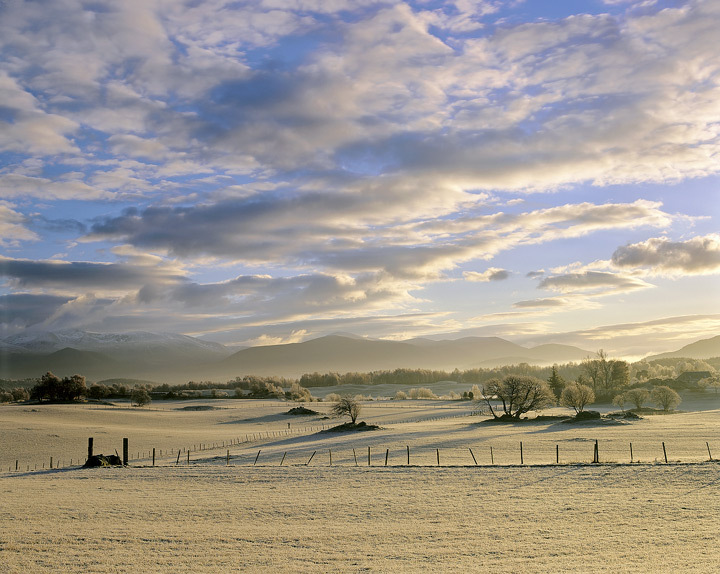 Behind the distant Cairngorms mountains stand in blue shadow dusted with fresh snow. It was fortunate for me that the sky was equally amazing because it justified devoting a large amount of space to it and the whole scene was filled with golden light.